From drink-driving in Kerry to Bertie Ahern getting attacked, here are the comments which got the most thumbs up from other readers this year. INTERNET COMMENTERS CAN get a bad rap sometimes. However they play a big part here on TheJournal.ie, helping to make the site what it is. Every day several thousand comments are left on the site, shaping the discussion and kickstarting some lively debates (and despite what some commenters might believe, only a tiny number ever have to be deleted…). We’ve compiled a list of the 10 comments which received the most thumbs up from other readers this year. As you might expect, many of the most popular comments were among the first posts on a breaking news story, expressing what many people felt about an issue. Some were funny, some insightful and some were sympathetic. So here’s the 10 comments with the most thumbs up this year (all thumb figures correct as of 20 December). And before you ask – no, we’re not going to do a list of the comments which received the most thumbs down. That would be too cruel. I think this was just an attempt by Gilligan to have Garda protection awarded to him. Never before has the gunman walked into a pub shouting the name of the person they were there to shoot. They typically seem to know exactly where the intended “victim” is sitting. Never mind going into a completely different pub for God’s sake! This has set up written all over it. 4. Stone.walled got 2,610 thumbs up after Bus Éireann passengers were reportedly terrorised by a rowdy group of people who threw urine around the coach. It’s the bus drivers responsibility for his passengers. All he had to do was ring the guards on the quiet and have them meet the bus at the next town. I’m cringing thinking about how mortified she must be feeling… Imagine your parents being shown that photo of you! 7. Brian O’Rourke got 2,452 thumbs up on how media around the world reacted to the story of Kerry County Council voting for a plan which would allow rural drivers to have ‘two or three drinks’. God bless him and family ,I’m from donegal ,I’m in newyork if there is anything I can do to help ,I’m close to JFK too if any one needs a lift ,sorry to hear stuff like this :(. Email “The 10 most popular comments on TheJournal.ie in 2013”. 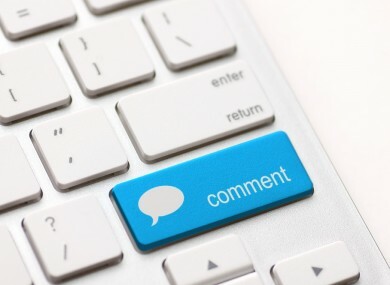 Feedback on “The 10 most popular comments on TheJournal.ie in 2013”.